Removing 130°F final rinse water from lawn mower decks after drying oven and prior to final painting.Decks are processed on an overhead conveyor @ 25fpm through standard wash/rinse cycle with a final rinse and drying prior to paint booth. 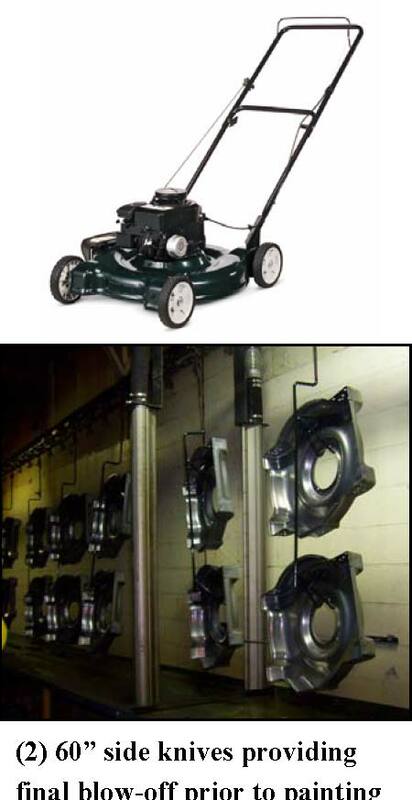 The customer first sought a compressed air solution which never provided adequate drying. 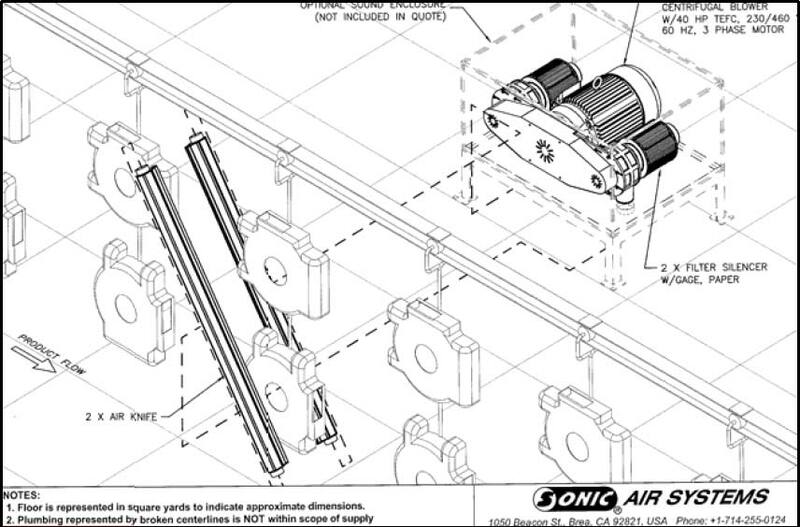 When Sonic analyzed their application it was suggested that their best chance to receive complete drying was to redesign their overlapping rack holder, to minimize blind spots. Upon the exit of the drying oven, the decks were still wet thus negatively affecting the paint adhesion and final appearance. Their initial thoughts were to either slow the line down or add manual labor after the over to ensure dryness.